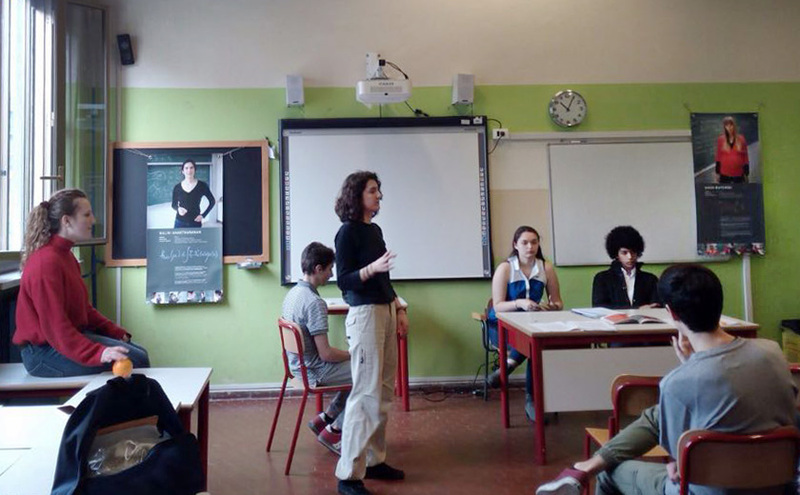 - On 13.4.2018 it took place in Liceo Scientifico Statale "Galileo Ferraris” during the Science open day. In the morning the school students (more than 1000) visited different classrooms hosting science related events presented by students as well; in the afternoon the school and the events were opened to the public. In one classroom half of the panels of the exhibition were exposed and volunteers explained the basic number theory behind the work of the potrayed mathematician Kaisa Matomäki (following the ideas presented in her interview). 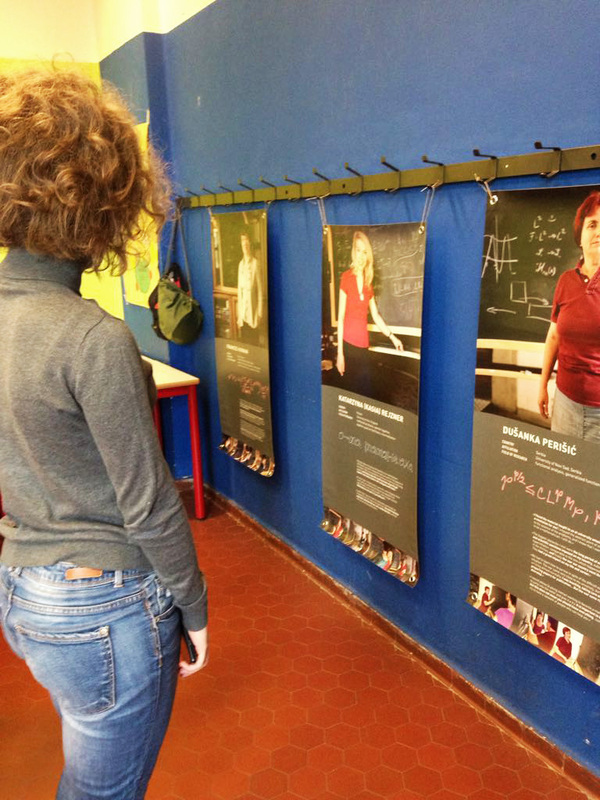 In a nearby classroom the rest of the potraits were exposed and volunteers gave an oral and slide presentation on the issue of gender equality in mathematics. In the following days a rehersal of these two different presentations took place during a mathematics class. 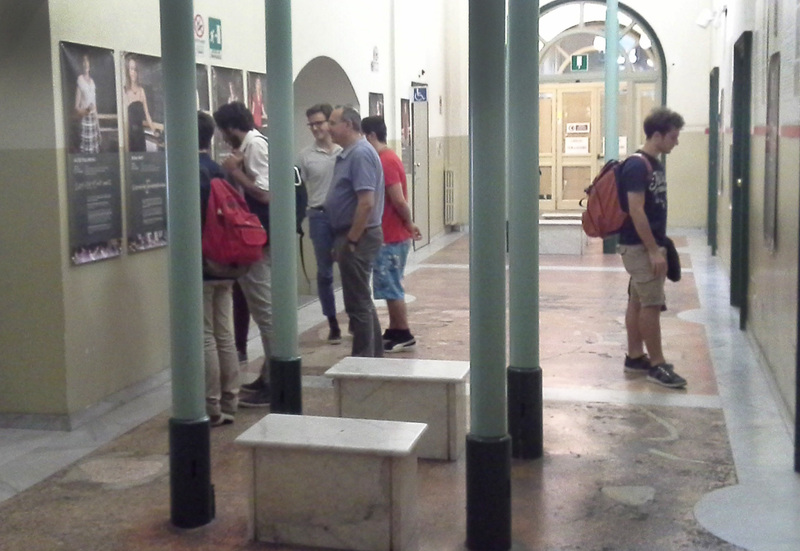 - From 14.5 to 15.6.2018 the 14 panels were exposed next to the entry hall of the Dipartimento di Matematica “G. 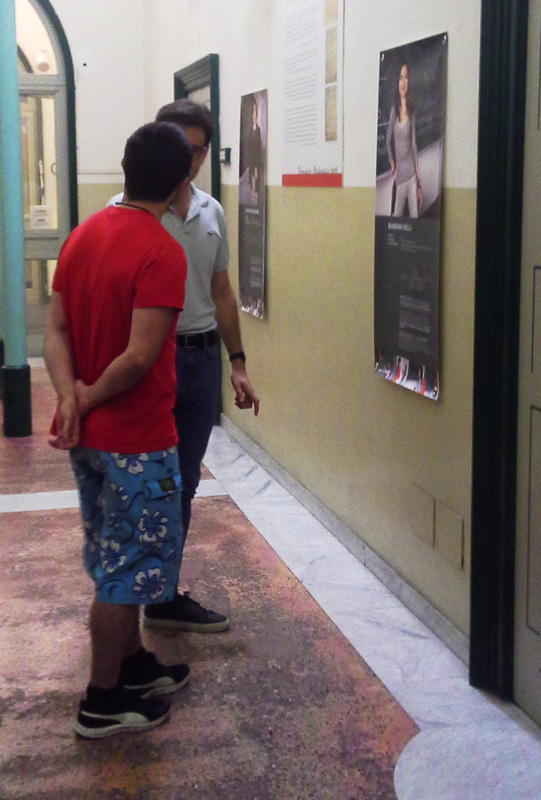 Peano” University of Torino, were many students had the occasion to compare these potraits and read the full interviews. Special thanks to Cinzia Casagrande and Susanna Terracini.